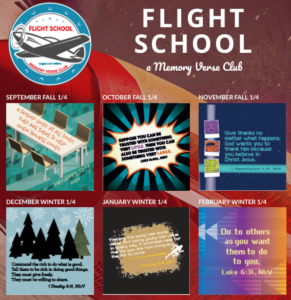 Flight School is a memory verse club for Fly Kids Church. The Bible is an important part what we do at Fly Kids Church. It’s important that kids know how to apply the Bible to their everyday life. Flight School is going to help kids know, understand and apply the Word of God. 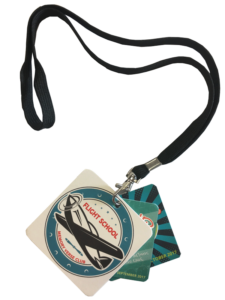 Each kid will receive a Flight School lanyard with a Flight School name card & tracker. Each month they will receive a memory verse card for their lanyard. Kids can wear their lanyard everywhere they go and memorize their monthly verse. Hang em in the car, on bedroom & bathroom doors, put em in their lockers…you get the idea. The easier it is for kids to access the Bible the easier it will be for them to memorize the monthly verse. Each weekend when kids can recite the monthly memory verse, they will receive 5 Fly Kids Cash to spend at the Store. 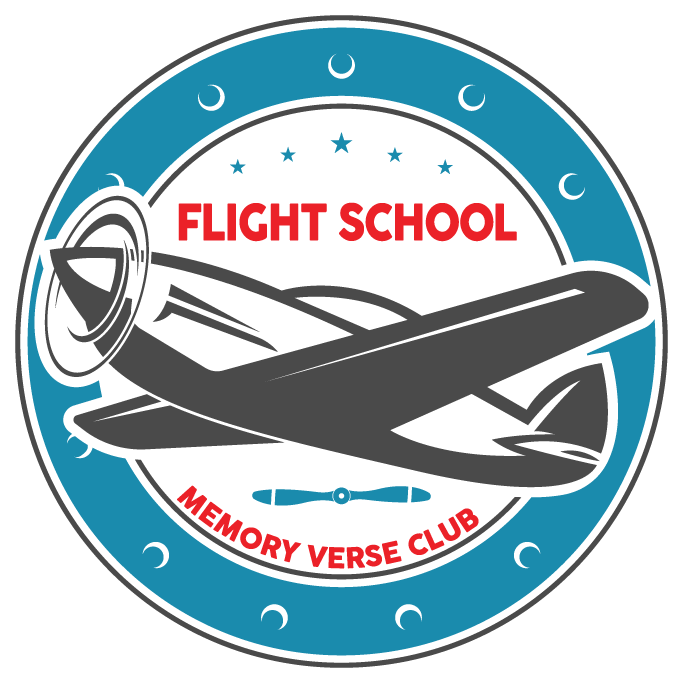 Each quarter, kids who recite all three monthly memory verses will receive a special Flight School Reward!